The world’s first user upgradable 4K digital film camera! RAW and ProRes recorders. Because the sensor and lens mount assembly can be changed, you can choose EF or PL lens mounts, or even a broadcast video sensor with B4 mount. This means you can upgrade to the latest sensor technology in the future and keep your investment in the camera body! 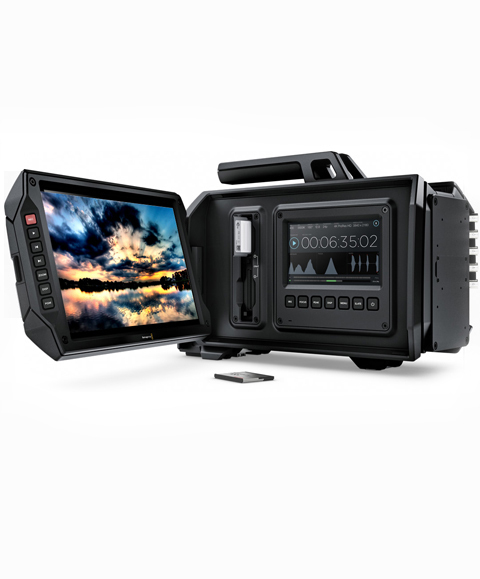 URSA is a true professional digital film camera with a 4K sensor, global shutter and an incredible 12 stops of dynamic range. The wide dynamic range blows away regular video cameras or even high end broadcast cameras, so you get dramatically better images that look like true digital film. The wide dynamic range preserves detail in dark shadows as well as bright highlights so you have a wider range of brightness levels to work with when color grading in post production. The extra large Super 35 size allows for creative shallow depth of field shooting and the high resolution Ultra HD 12 bit lossless Cinema DNG RAW means you get incredible quality! 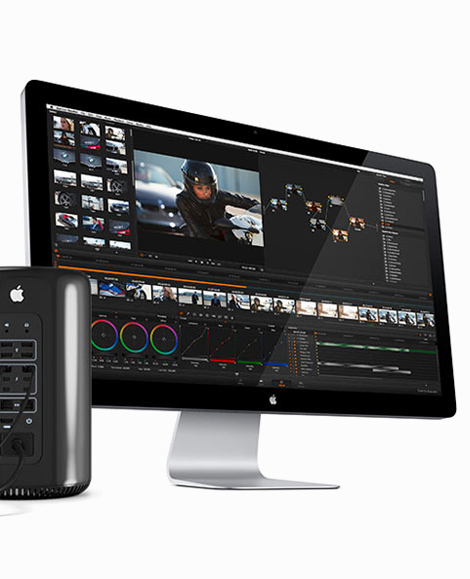 You can also shoot Ultra HD or HD in Apple ProRes for easy post production workflow with minimum storage requirements! 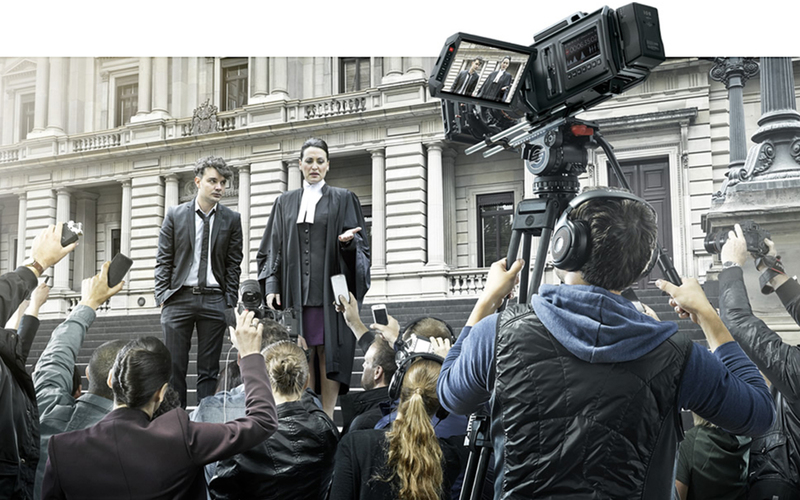 The Blackmagic URSA features a modular camera turret that can be simply removed by removing 4 simple bolts! The camera turret includes the sensor, lens mount and lens control connections and can be upgraded in the future when new types of sensors are developed. This means your next camera will be a fraction of the cost of buying a whole new camera! There are currently 4 models to choose from! 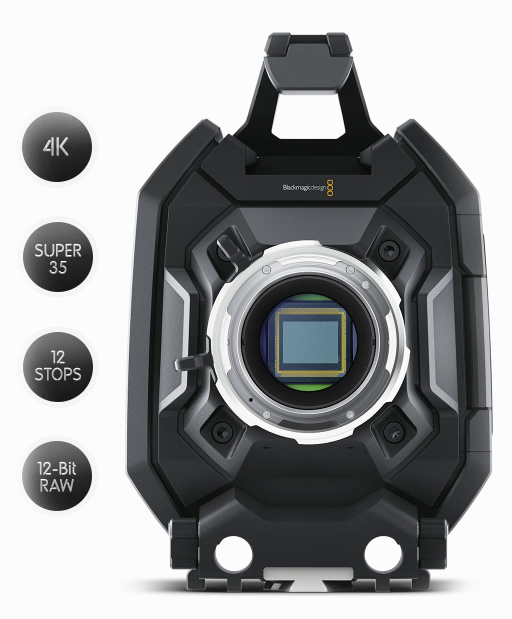 URSA Broadcast, due later in 2014, features a whole different sensor optimized for Broadcast Video in Ultra HD, combined with a broadcast B4 lens mount and broadcast lens control connection plus built in ND filter wheel. 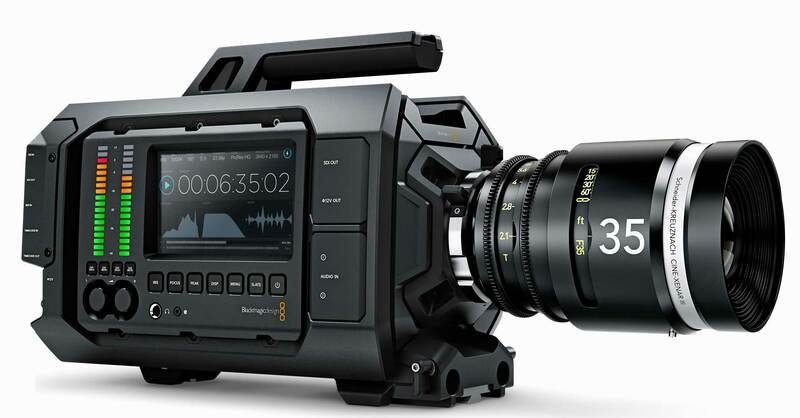 URSA PL includes the amazing 4K Super 35 image sensor with global shutter and the film industry PL lens mount. That’s ideal when you need to use feature film industry PL mount lenses for the most cinematic optics available! 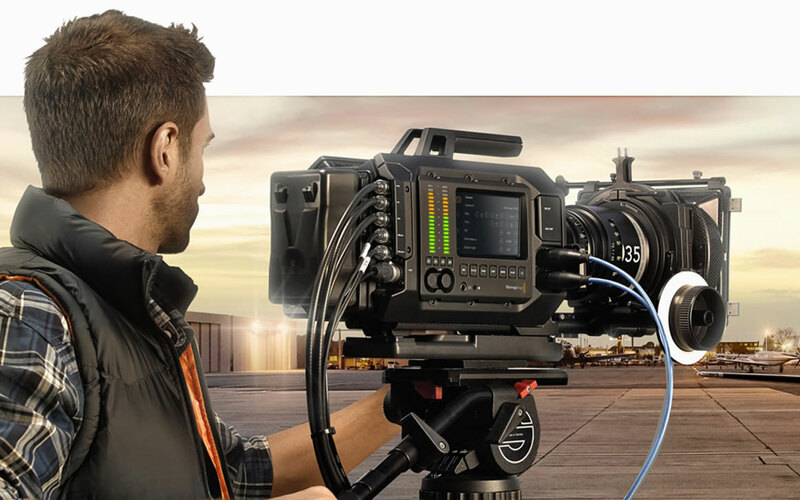 URSA HDMI includes no sensor because it features an HDMI 4K input and mount plate for connecting any camera such as DSLR cameras! 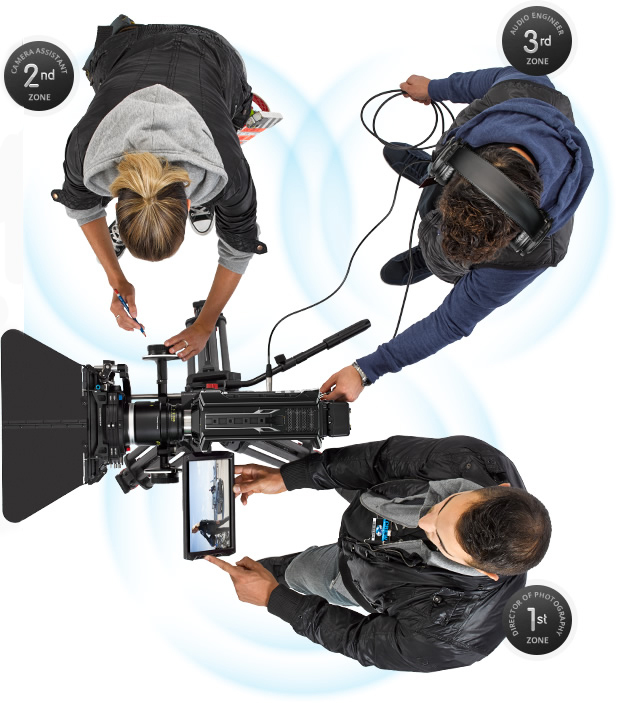 Get much better ProRes recording, monitoring, audio and timecode than what is ever included on simple video or DSLR cameras! Massive Viewfinder as a fold out 10 inch screen! 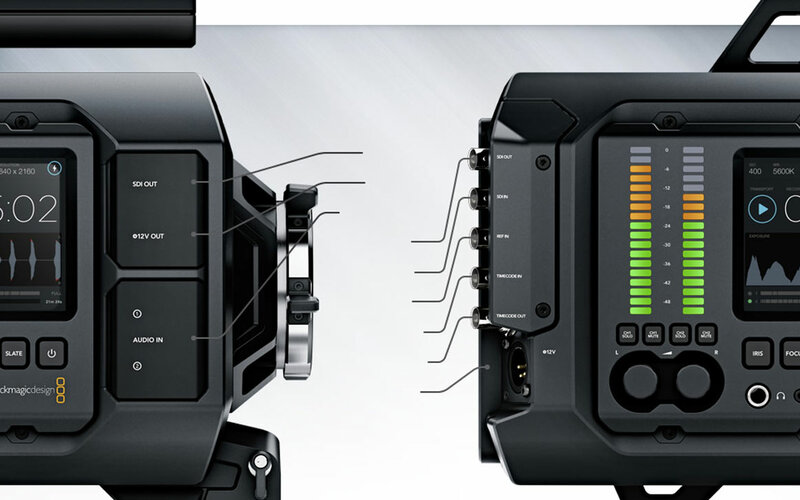 URSA features the world’s most intuitive and advanced touch screen camera user interface! There are two 5” touch screens on both sides of the camera that put your settings, controls and monitoring tools at your fingertips! The left side gives you quick access to all major settings via a touch screen and a row of control buttons. That means you don’t have to hunt through complicated menus to make changes! The right side displays settings like format, frame rate, shutter angle and more! There is a large prominent timecode display, an animated histogram for checking levels, a scrolling audio waveform monitor with clipping indicators and a spectrum scope for helping you check and adjust focus! Customize your rig to suit your production! URSA uses a standard 4-pin 12V to 20V XLR broadcast power connector for plugging into external power supplies. There are also mounting points and a power transfer connector for mounting third party V-Mount and Anton/Bauer gold mount back plates and batteries onto the rear of the camera itself. This means you can integrate the battery as part of the camera itself. You also get a standard 4 pin XLR 12V output power connector so you can use a wide range of third party viewfinders without needing expensive custom cables. That means it’s easy to integrate the camera with all of your existing gear and accessories! The industry standard in color correction included free! Blackmagic URSA includes full DaVinci Resolve 11 software for Mac and Windows, so you get more color correction features that let you take advantage of URSA’s amazing image quality. You can use the Resolve Live feature to grade live pictures direct from the camera. Imagine lighting your set and color grading all at the same time! You get the full creative power of primaries, secondaries, power windows and more! You also get DaVinci Resolve’s advanced editing features including a full multi layer timeline with ripple, roll, slide and slip clip trimming and title tools! 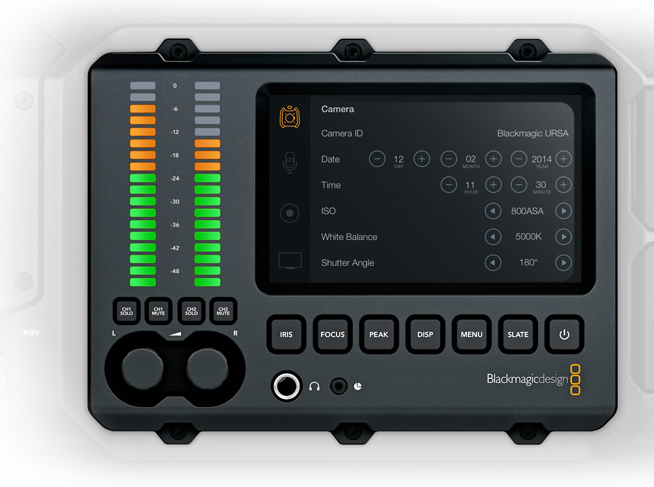 Blackmagic URSA and DaVinci Resolve mean you get a complete production and post production solution! Revolutionary user upgradeable digital film camera with EF lens mount and 4K Super 35 sensor with global shutter, 12G-SDI, built in 10” monitor, dual CFast recorders, scopes, audio meters and more! User upgradeable, full size digital film camera with film industry PL lens mount and 4K Super 35 sensor with global shutter, 12G-SDI, built in 10” monitor, dual CFast recorders, scopes, audio meters and more! 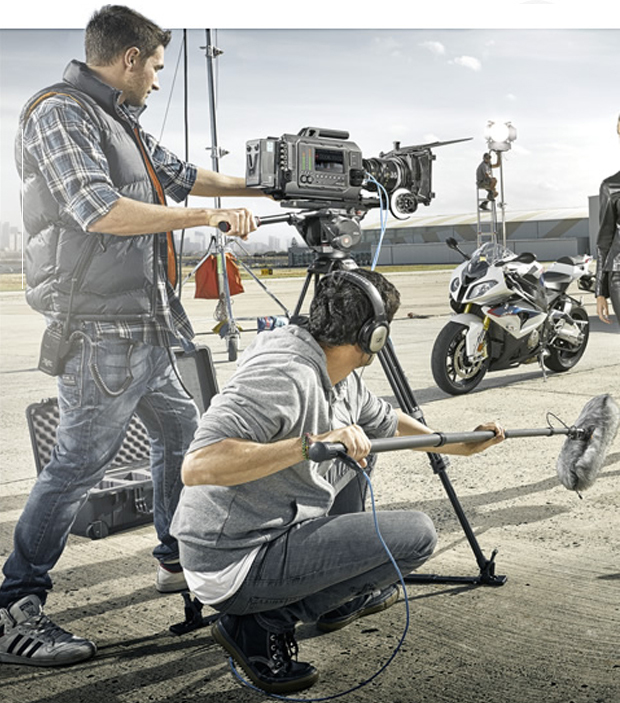 Includes an Ultra HD sensor optimized for broadcast video, combined with a broadcast B4 lens mount and broadcast lens control connection, 12G-SDI plus built in ND filter wheel. 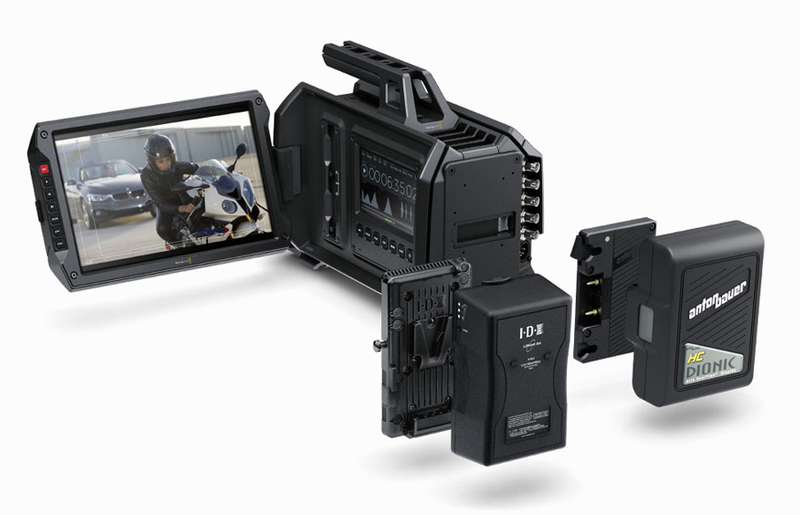 Camera body without sensor, features an HDMI 4K input with mounting plate to connect any HDMI camera for URSA quality recording, monitoring, audio and timecode. High resolution viewfinder for USRA range of cameras includes full HD OLED display and true glass optics for perfect focus.